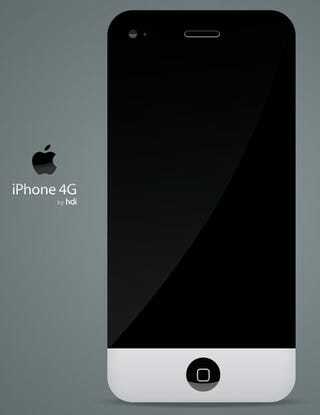 This subtly updated iPhone concept from mysterious designer hdi is really rocking my world. It mixes aluminum and glass just like an iMac. And in fact, after seeing it, I may be disappointed by whatever iPhone Apple releases next. I mean, just imagine the adorable little iMac stand that third parties would make for this phone! I'm getting cute overload just thinking about it. Of course, I could do without the iMac's flickering, yellow screen. But that's just me, and authenticity might be the better way to go here.